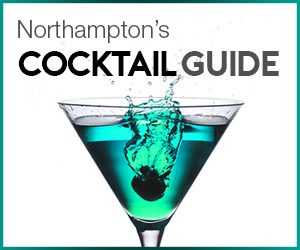 Over the next few weeks, the Northampton Gent will be providing you with full guides covering some key autumn/winter style tips to keep you looking good as you bitterly wish farewell to the summer and usher in the cold and damp months ahead. Our first guide is covering something all important during this period of transition from summer to autumn; jackets. We know, we know, we might sound a little bit like your mum when you used to leave the house; “make sure to take jacket with you, it will be chilly” and yet such motherly wisdom was spot on. The transition from summer to winter can be difficult, with the daytime still be relatively warm but the evenings becoming colder; therefore having the right jacket to hand is essential. 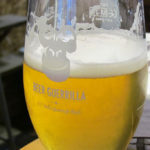 So the Northampton Gent has scoured the online rails to find some of the finest jackets to suit the most tumultuous transitional period. Jackets are an extremely versatile piece of clothing and given the uncertain nature of the weather in the autumn months, are invaluable for remaining comfortable. 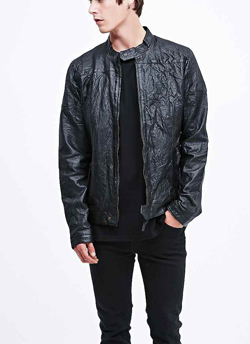 What is important about a jacket is that once you are wearing it, it will be a substantial factor in your look, covering whatever t-shirt, shirt and other upper body pieces you may be sporting. It is important to have the correct jacket to ensure it does not jar against the rest of your outfit, so we have looked at some of the key styles to help the crossing over from summer to winter. Smarter jackets can be used for more formal situations, such as the office, meals and times when a casual jacket will really stand at odds against the rest of your outfit. 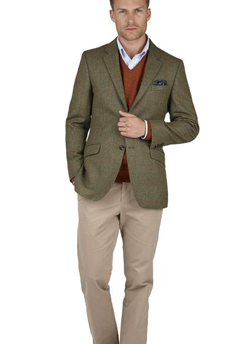 We would suggest investing in a good jacket that will last you a long time. Remember, the primary reason you don a jacket is to face inclement conditions and chances are it will see a lot of action over autumn and winter months. 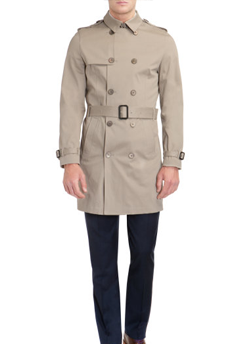 Macs and trenches are wildly popular and were huge back in spring, so it seems the trend will keep on going. 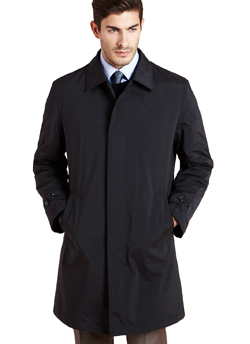 Often these jackets are longer which will help cover more of your body on those particularly wet and windy days. Often they are extremely resistant and extremely lightweight, making them the ideal jacket for the transitional period when the weather is quick to turn. They are ideal for outwear because you can comfortably wear them over a suit, shirts or your knitwear, making them perfect for a more formal environment due to their clean lines and often simple, understated design. It is this design that means both macs and trench coats can be layered with any number of assembles and look great without the whole outfit looking too busy. 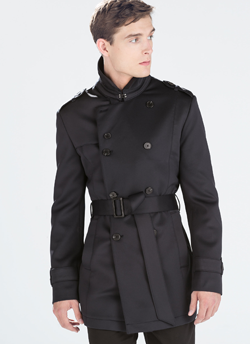 The mac and trench can be worn in many different ways and come in a number of different styles. The key differences in the different styles are belts, fit and length. 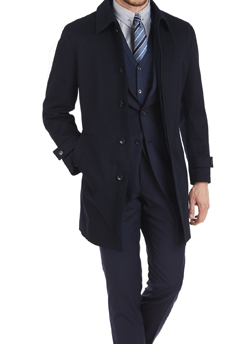 There are mid length versions or overcoats which are longer. Personally, we are fans of the longer version with a slimmer fit and a belt which draws in the waist, accentuate your upper torso and give a fitted, more fashionable silhouette. We would suggest keeping the colours neutral so as to maximise its versatility with numerous outfits, sticking to blacks, greys and browns. An alternative is to go without a belt on the overcoat or a half length which can make the look fit into a more casual outfit. 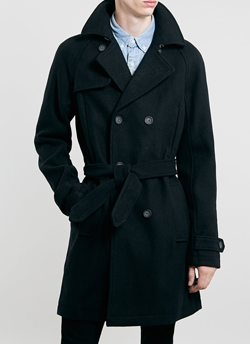 It is this versatility that means macs and trench coats are an A/W staple and utterly timeless, so investing in a good quality coat is most certainly worthwhile. With the autumn/winter season upon us, there is one form of jacket that we know will be there to see us through those chilly nights in insurmountable style; it is of course the blazer. 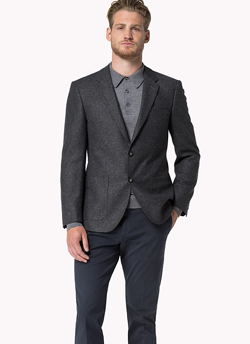 The blazer can be used for smart and smart casual outfits, making it ideal for the office or for evenings out. 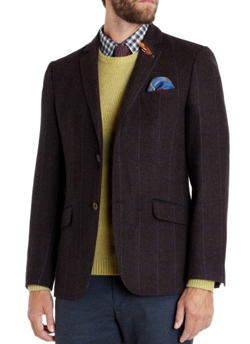 As your autumn blazer will often be used practically to provide some protection against the elements, choosing harder wearing materials such as tweed and high wool content is a sensible move. Not only will it work on a practical level, but the textured look of the materials is ideal for autumn/winter style. When it comes to your colours, we would highly recommend greys and dark blues, simply because these neutral colours work with any number of combinations and will provide you with the maximum amount of opportunity to wear your blazer. If you are keen to add more colour into your outfit and really have your blazer stand as a statement piece, opt the autumn shades of earthy greens, browns and burgundy. When it comes to fit, spring and summer is all about slim fit, however in the autumn and winter months, you will be layering your blazer with other garments, such as a cardigan or sweater. Therefore, you will want to choose a fuller cut blazer which is slightly longer. Even though the blazer may be a fuller cut to allow for extra layers, be sure to still get a slim cut to maintain a good silhouette and remain stylish. 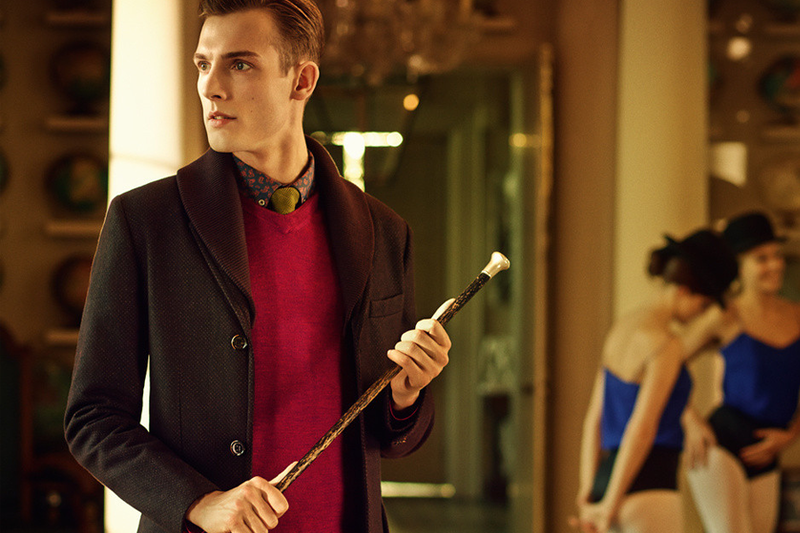 When going for a more relaxed and chilled out look, it is important to choose the right jacket. Wearing a rather smart trench with stone washed jeans and trainers can make the outfit look uncoordinated and the different styles might jar if not done correctly. 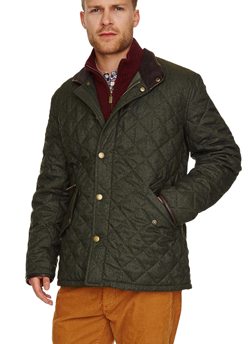 The quilted jacket is one many a gent can turn to as autumn approaches. Breathable and light enough to allow you to remain cool in the autumn warmth but capable of keeping you protected should the weather unexpectedly turn sour. 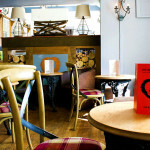 We at the Northampton Gent still have our reservations on quilted jackets. First and foremost, due to the very nature of quilted jackets, they give you upper body a bigger frame which sartorially counterproductive to the look we are often trying to achieve. For smaller individuals, this may not be the biggest of issues, however for the fuller set gent; this may not be the way to go. It means the jackets are not always the most versatile when it comes to layering and there is a good chance that when certain items such as knitted jumpers are layered with a quilted jacket, you may become too hot. 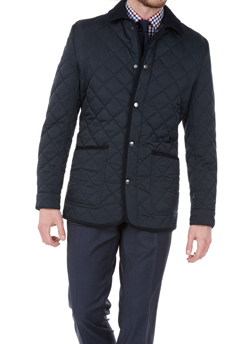 With that being said, there are many ways to wear a quilted jacket and achieve a great look. Our suggestion would be to choose lightweight garments for the rest of your upper body to begin with. 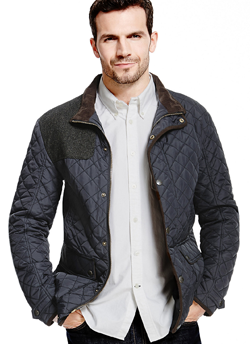 Avoid any particularly heavy or bulky pieces that the quilted jacket will go over and opt for a quilted jacket that is not too heavily padded. When it comes to colours, you can’t go far wrong with blacks, grey and dark navy blues; if however you are feeling brave you can opt for brighter shades to really pull attention to the jacket. Whilst the former will offer you more options, from casual looks all the way to more office attire, the latter will be harder to pair but act as a great statement piece to make an outfit. 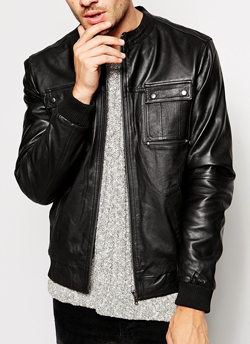 Nothing says casual and cool than the perfect leather jacket. Perfect when layered and ideal as a standalone statement piece, it will likely be one of the more expensive purchases in your wardrobe, so it important that you get it right. 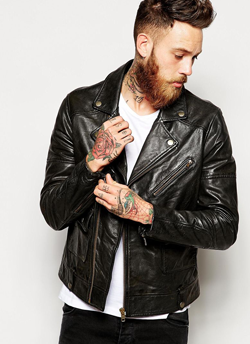 The leather jacket has long been synonymous with some of the coolest gents in history, from the rebel without a cause James Dean to male fashion icons such as David Beckham and Ryan Gosling all wearing it. 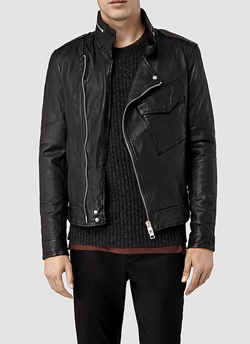 Leather jackets come in a range of different styles, from fashionable straight cuts to the classic and often more elaborate biker jackets. Whilst a leather jacket will never be considered smart, the straight cut style works well with trousers, chinos, shirts and knitwear. The design is often simple so these jackets lend themselves well to layering. You can be sure to be safe with the traditional black and brown which work with any number of outfit colour combinations, but do not be afraid to try more adventurous colours such as oxblood which will help stand you out from the crowd. The biker jacket on the other hand is the star of the show. It is definitely more suited to the more rock and roll look – faded, skinny jeans and simple v-neck t-shirts –and by keeping the rest of the outfit more subdued, you focus all attention on the jacket. The norm for the biker jacket is black, but similarly to the straight cuts, do not be afraid to try something different and look at grey iterations for a slightly more fresh and modern approach. 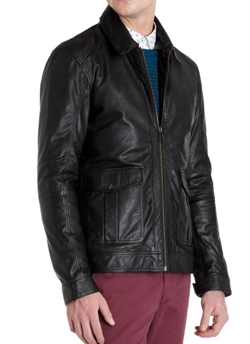 When we talk about the quality of the material, it truly is important when discussing leather jackets. You want the leather to soft to the touch and at all costs avoid faux-lather which does not age well at all. Your leather jacket is not just for Christmas, it’s for life; or at least a good percentage of it and by investing in good leather you will see the jacket age wonderfully and build character of its own. 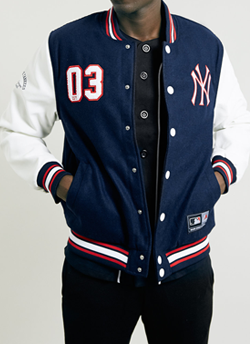 It is hard to envisage anything more casual than the varsity jacket. Often seen in any and all American high school films and dramas, this preppy look is brilliant for the crossover from summer to winter. Whilst we are all aware of the traditional, boxy varsity jacket which often feature bright, bold colours and leather sleeves and the letter of the high school or college it represents; today’s designers have taken a different and more modern approach. Experimenting with different materials, cuts and colour combinations, the jackets of today are made slimmer and lighter. They pair well with both jeans and chinos and any number combination of shoes – just be sure to avoid matching this with anything on the more formal spectrum of clothing, as the two looks will definitely clash. This iconic American sports piece is 100% casual and absolutely perfect for those autumn weekends. 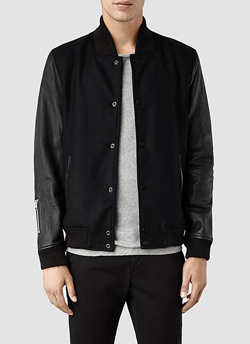 What are your go to Autumn/Winter jackets? How do you layer your outfits in the winter? 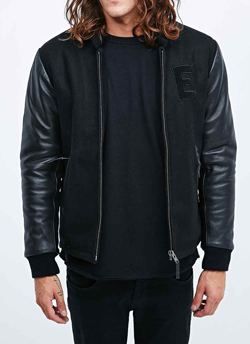 Do you feel there are any glaring omissions from our jacket essentials? Make sure to leave us your comments below.